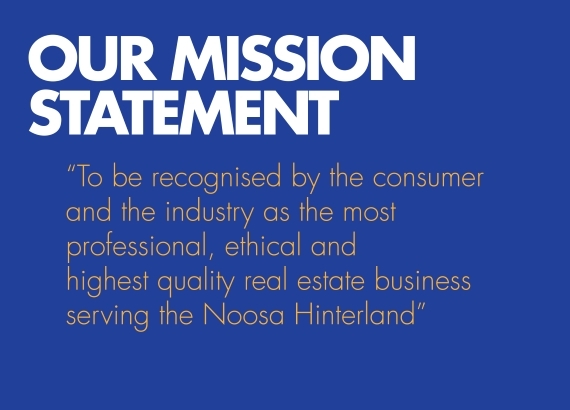 Established in 1989, Hinternoosa is the longest standing boutique real estate agency in the Noosa Hinterland, specialising in properties for sale & rent in Cooroy, Eumundi, Doonan, Tinbeerwah, Lake Macdonald & Pomona. Whether you have a small home or a large rural property our team have the experience to ensure you maximum opportunity to get the best price in the shortest possible time. Our team has over 150 years combined experience, who aim to exceed your expectations by offering exceptional & professional service with integrity, honesty and enthusiasm. Whether you are a seller or buyer, we are dedicated and committed to helping you realise your Noosa hinterland lifestyle dream. A business ethos of open, honest & fair has helped us become the leading agency in the hinterland. We continually strive to improve our service and keep our happy clients returning. Check out what some of our customers have to say. It’s truly humbling. Hinternoosa is working towards reducing our impact on the environment as an ecoBiz Partner with the Queensland Government ecoBiz program. We aim to reduce our energy consumption by a fifth, our water use by a third and our waste by almost half. We have adopted eco-efficient practices, within our office such as active recycling, a water tank, and our Eumundi Sun Farm. Hinternoosa has built the ‘Eumundi sun farm’ which is a 30kw PV system situated high in the Noosa hinterland on Queensland’s Sunshine Coast. 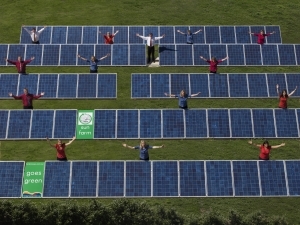 Our goal commissioning this solar farm was to help reduce our carbon footprint. It is our view that the solar farm will provide enough energy for 15 homes and that, together with our farm forestry plantation, will offset the carbon footprint on behalf of our business and our employees to below zero. Most people looking to purchase real estate in the Noosa hinterland want to also do their bit to contribute to reducing energy usage and emissions. 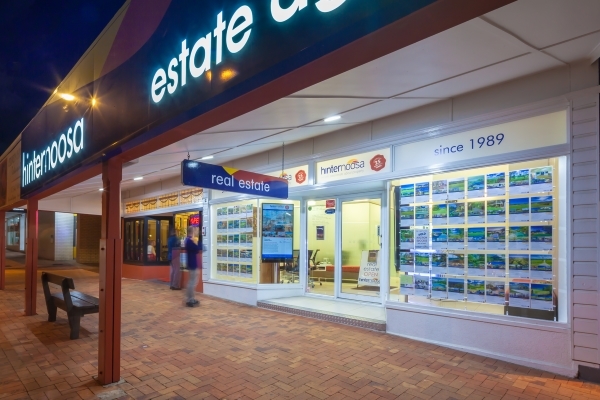 This makes buying real estate in the locations of Cooroy, Doonan, Eumundi and across to Tinbeerwah very desirable. Real estate in the whole of the Noosa hinterland benefits from switching to solar energy as it creates a clean environment for everyone who has invested in hinterland property. Most of our buyers and sellers are looking to live the Noosa hinterland 'green dream'. You can view the hinternoosa solar plant overview at Sunny Portal here. Watch a short news bulletin about our solar farm here.